Chardham Camps make sure best possible ease for the valued pilgrims of the 2019 Chardham tour or yatra . 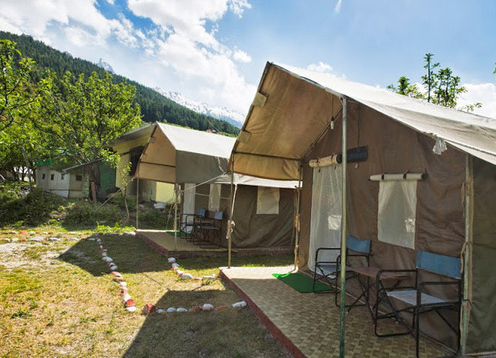 These luxurious chardham camps are offered for those undertaking a Badrinath tour, Kedarnath tour, Gangotri tour and Yamnotri tour . 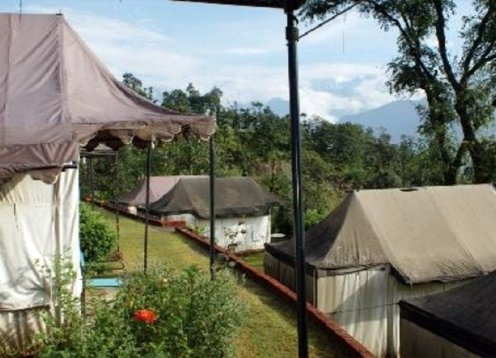 In fact, the 2019 chardham camp accommodation facilities provided in these camps is superior to that of any hotels in Chardham. 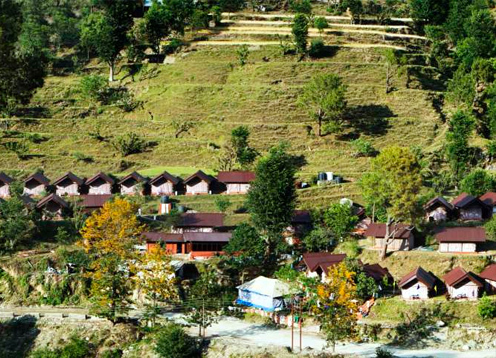 Chardham Camps have hence played a main role in redefining the definition of Uttarakhand tourism in a unique trend. 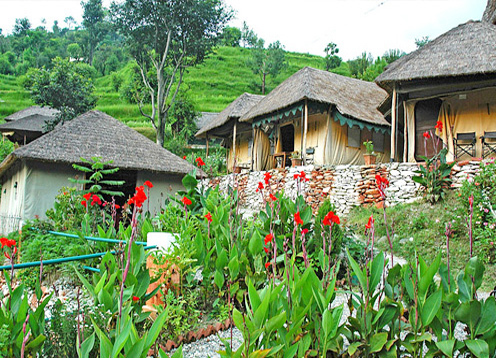 chardham camp accommodation in spacious all weather proof luxury-thatched roof cottage camps, attached baths and toilets with running Hot and Cold water and multi cuisine dining facilities serving sumptuous vegetarian wholesome food. 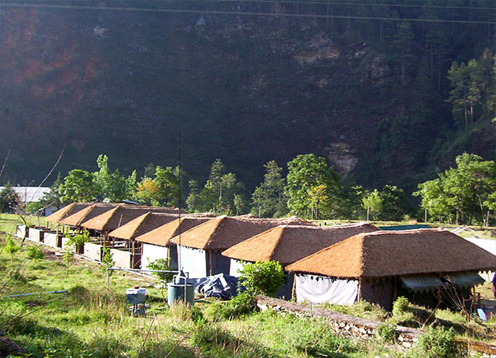 List of Chardham Camps accommodation in chardham circuit. A complete guide for chardham camp. 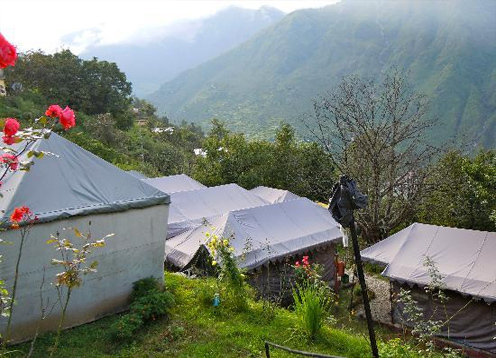 char dham camp booking, chardham camp accommodation, camp char dham, camps booking for char dham yatra, camp booking for chardham tour. Barkot is a charming place blessed by the splendours of nature. Iits natural setting – a backdrop of the magnificent Banderpunch range and verdant hills and terraced fields in the foreground. Snow capped peaks of the splendid Himalayan range is visible from Barkot, mainly Banderpoonch peak. At an altitude of 2745 meters, 20 Kms before Gangotri there is only one word to describe Harsil is eye-catching. Harsil is connected to the Baspa valley by several passes such as the Lamkhaga Pass. Harsil has a sizeable Bhotia population – many of whom use Harsil as their winter base. Roughly 13 km upstream of Uttarkashi is the village of Maneri. A lake – of an extremely gorgeous and clear color reflecting the surrounding conifers - has been formed by damming the Bhagirathi, is becoming a popular tourist attraction. All-weather proof luxury-thatched roof cottage camps. Positioned at an altitude of 1319 meter Guptkashi offers a panoramic view of the Mandakini valley below, Chaukhamba, Mandakini Darshan, Badrinath, Neelkanth, Ukhimath and the snow ranges of the Kedarnath atop ahead. It is a major town before Gaurikund – with services and facilities of a banks, hospital, police station etc. Situated at an altitude of 1875 meters Joshimath is the place where Adi Shankracharya, the 8th century religious reformer, attained enlightenment. The town is also the seat of the Badrinath shrine in the winter months, and it is worshipped at the beautiful and ancient Narsingh Temple here. 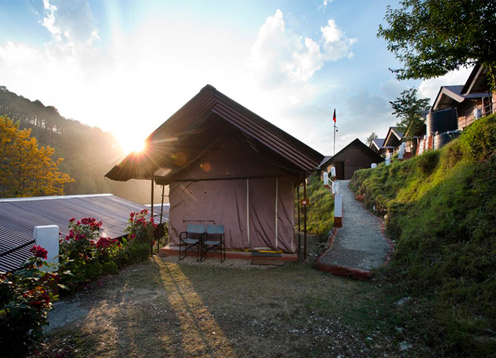 Chardham Camps established the thought of luxury pilgrimage travel in the Chardham zone. The pleasing sites of Chardham Camps on the circuit is selected in such a way that one is able to reach in time from one camp to another and still gets some time to rest and cool down for nest day's trip.